Xwi7xwa Library is at the corner of West Mall and Agricultural Road at 1985 West Mall. 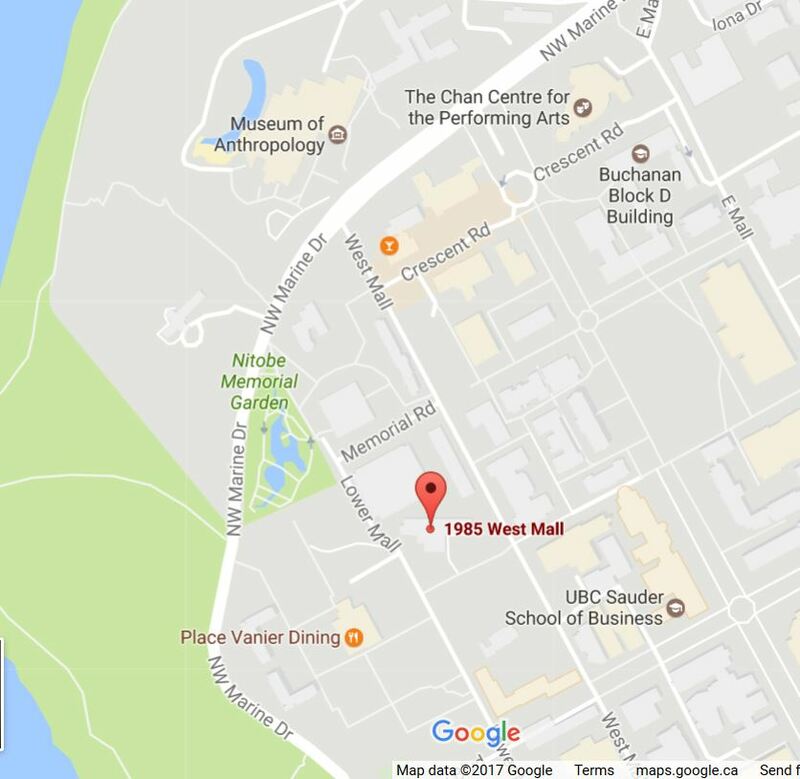 The nearest parkade is the Fraser River Parkade at 6440 Memorial Rd. 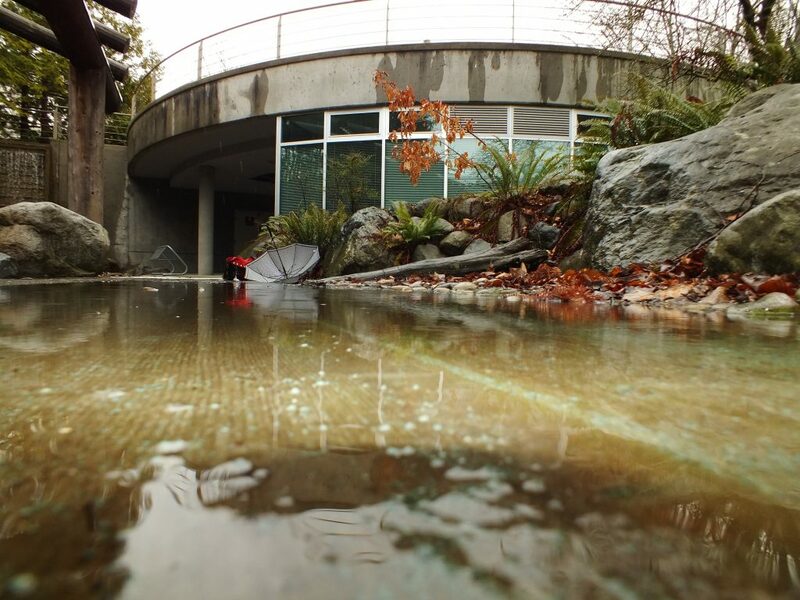 If you have any questions please call UBC Parking at 604-822-6786 or email. Parking is by plate number and the lots are patrolled regularly. Note: Place Vanier parking is for permit holders only. DO NOT park here, as UBC will tow cars. Click the map to see an enlarged version with details on accessible access. 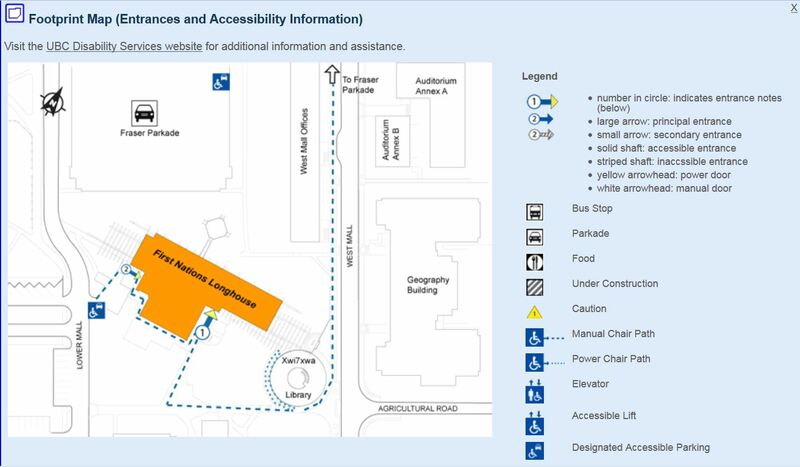 Wheelchair accessible pick-up and drop-off can be found at 1985 Lower Mall. Xwi7xwa can be accessed through the pathways alongside or through the Longhouse. Google Maps is unreliable for the best point of entry for those who have difficulty with stairs. All parkades and many surface lots have designated spaces for people with mobility issues. Please note that to use disabled parking you require a SPARC parking permit. The Bus loops are about a 10 minute walk from Xwi7xwa Library. 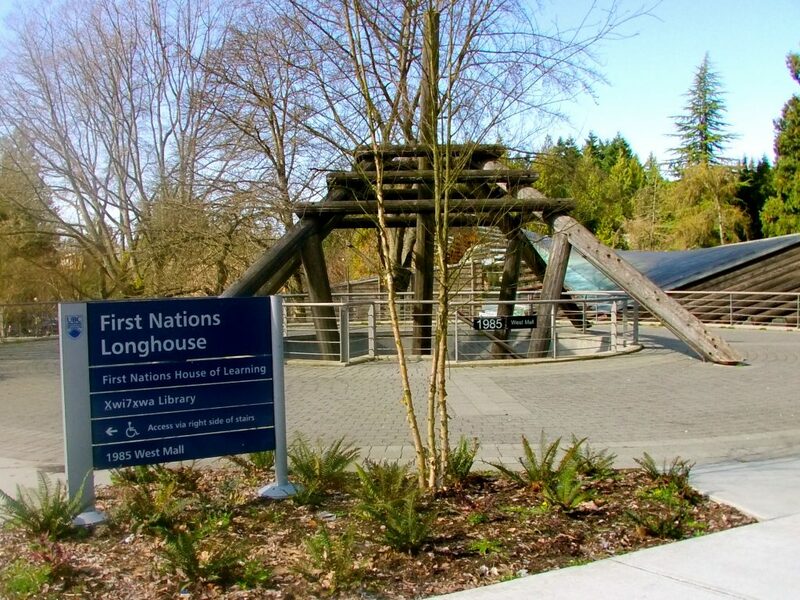 Either use the stairs to Xwi7xwa or use the ramp to the left of the library and circle back along the sidewalk between The Longhouse and the library, as pictured. Entrance to stairs and ramp. Photo Credit: Francine Cunningham, 2013. Sidewalk between Longhouse and Library.